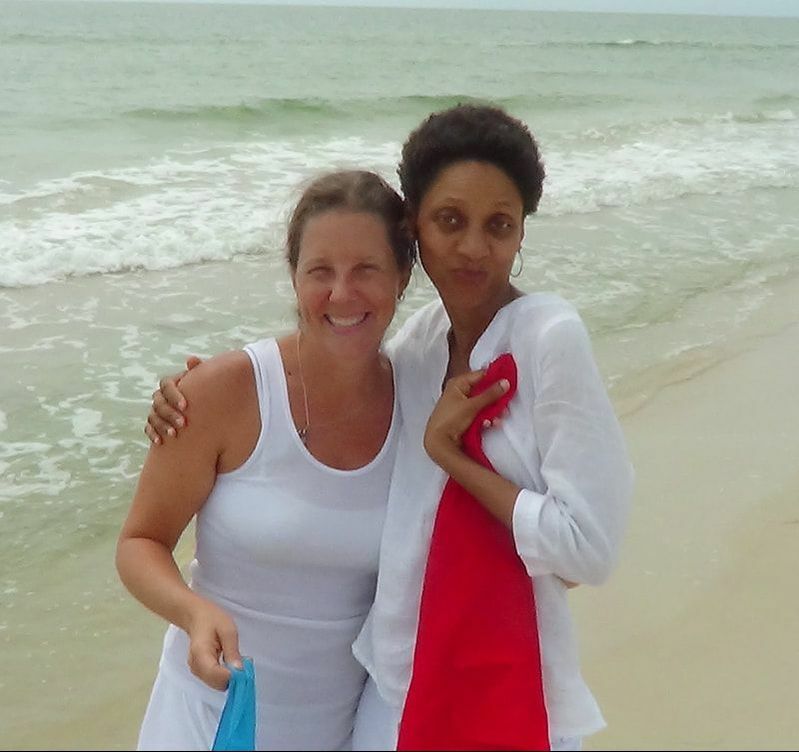 The Books & Brushes Retreat is complete and was a great success for all who attended! But never fear, there will be more like this to come. 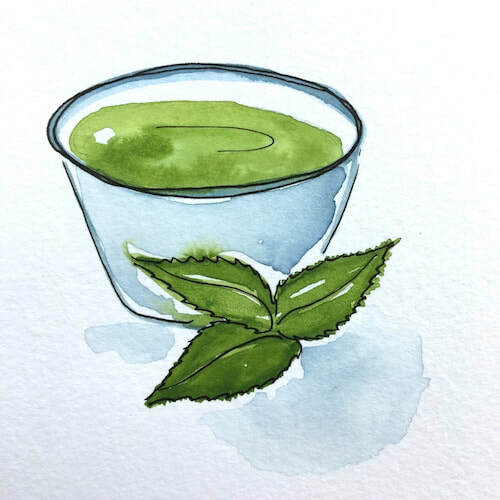 Read on to learn more about what the retreat entailed, and then be sure to subscribe to my email list to your right so you can join when the next art retreat comes around. 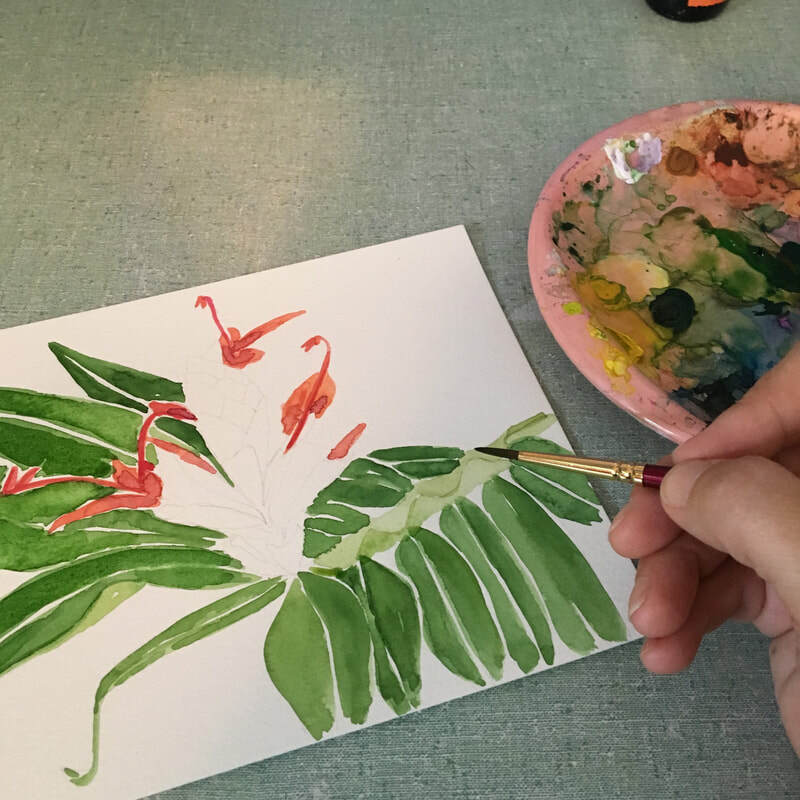 Join Watercolor Artist & Nature Journaling Teacher, Kelly Johnson and Printmaker & Book Binding Teacher, Kiala Givehand for a two day creative immersion retreat at Flow Studio in Neptune Beach, Florida! 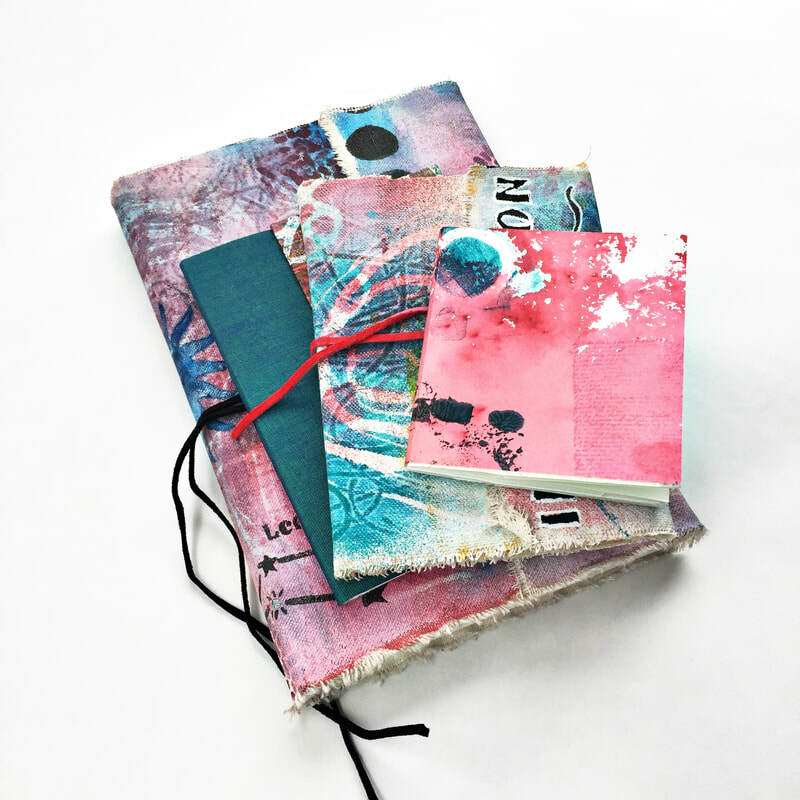 What is a Art Journaling? If you asked 100 artists to define what an art journal is, you’ll likely get 100 different answers. There really is no ONE thing an art journal is or does. 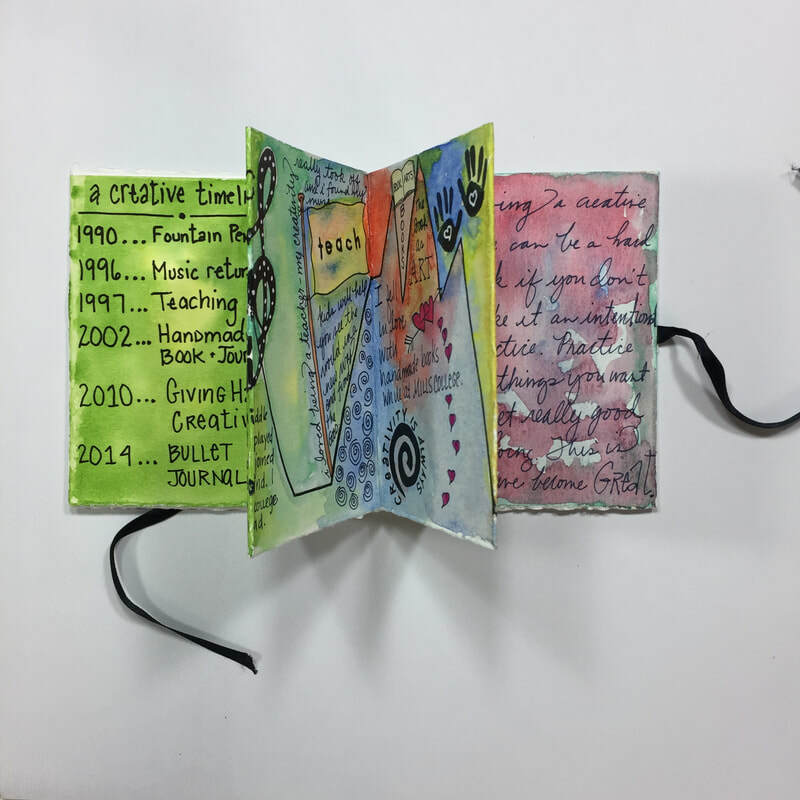 An art journal — sometimes called an artist’s journal– is a book used by an artist (or aspiring artist) to document their creative journey, their inspirations, the little whispers from their muse that come in and out as they live life. It’s a place where you can document life as it happens, where you can archive your experiences, and where you can gather and collect all the bits and pieces of daily living that inspire greater artistic expression. 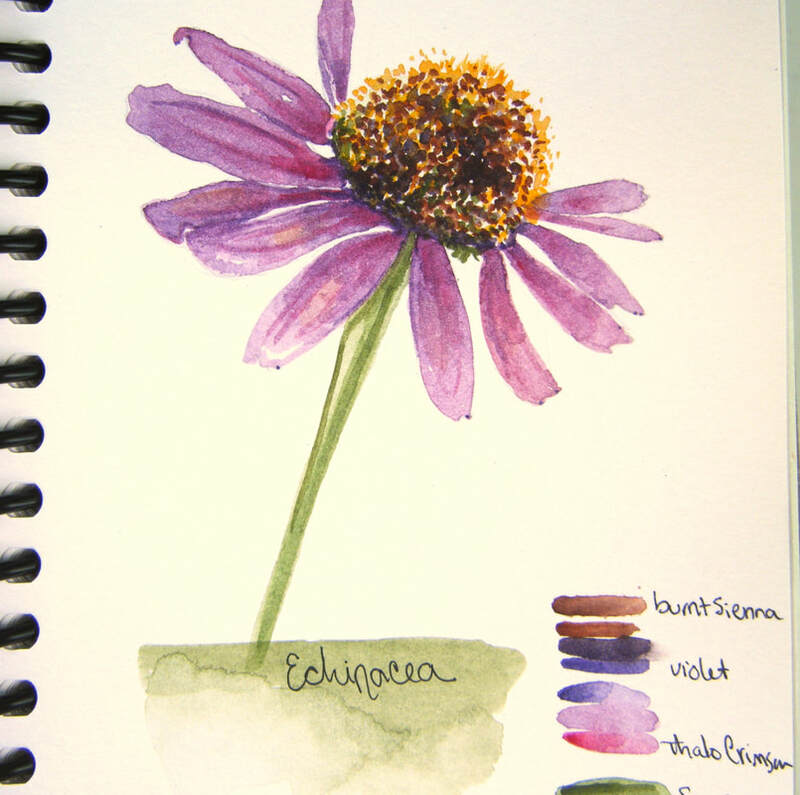 What you put in your art journal can be visual or written. It can record your thoughts and ideas. 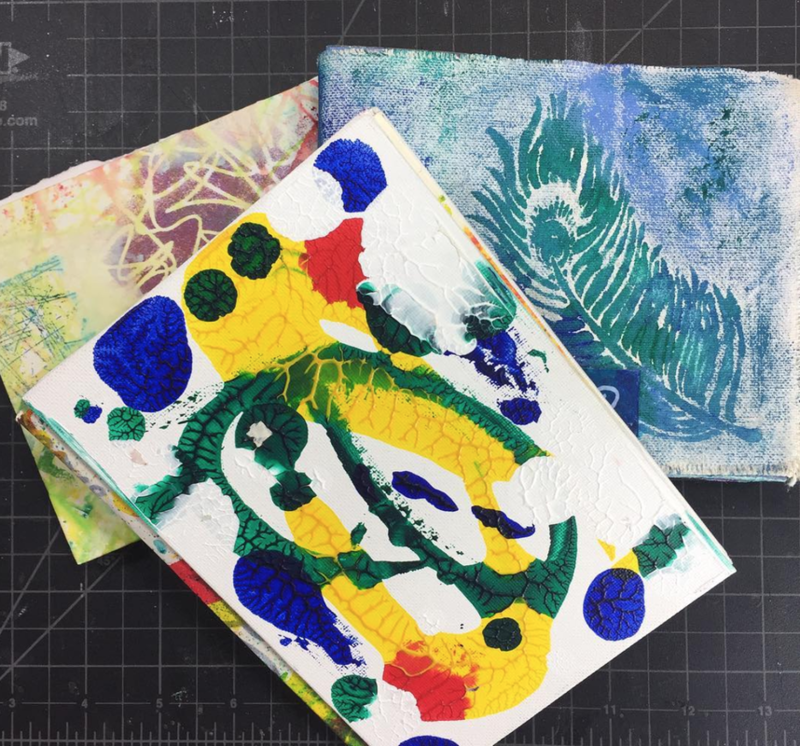 Often you will see art journals that bring together visual art, creative writing, and mixed media to create multi-layered pages full of color and texture. 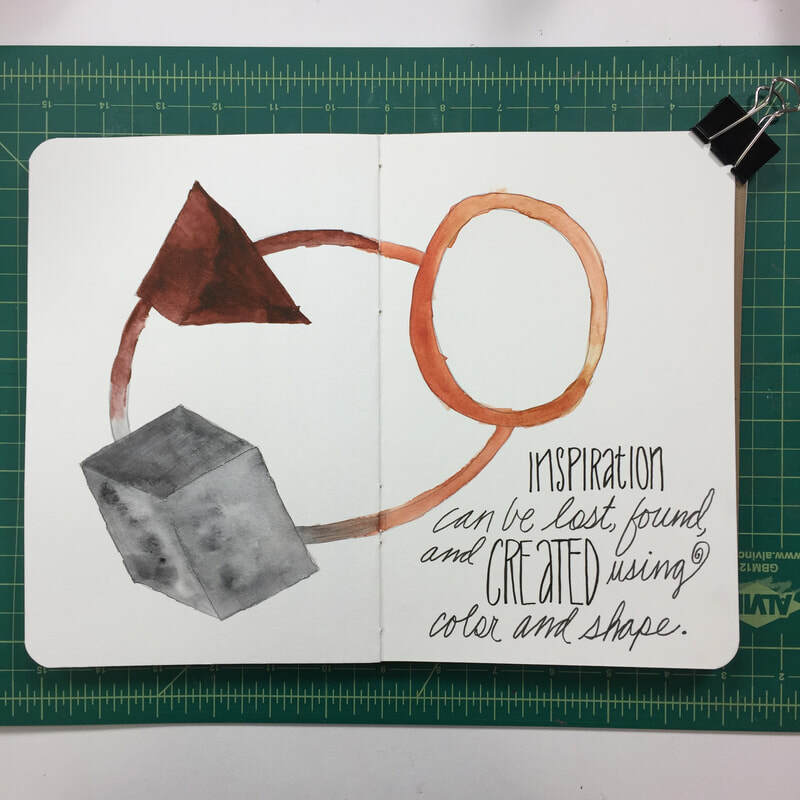 And then there are the minimal art journals that keep it really simple and are used to simply explore the inklings of your heart. There is no ONE thing an art journal is or does. 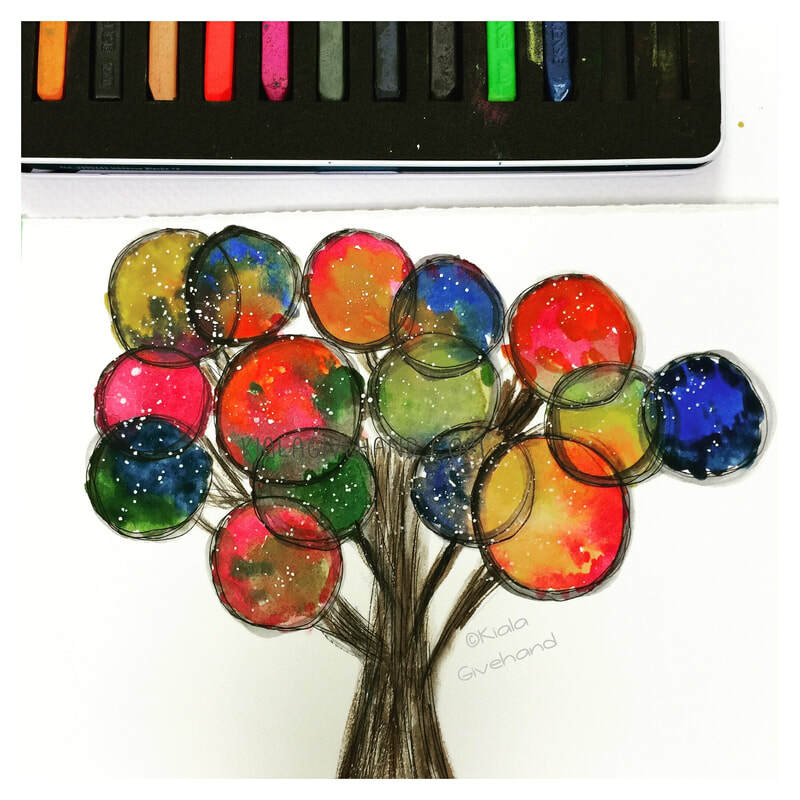 Every imaginable style, media and technique is used by art journalists as they incorporate colors, images, patterns, and other materials to create a record of supplies, techniques, styles, and inspired creative action. 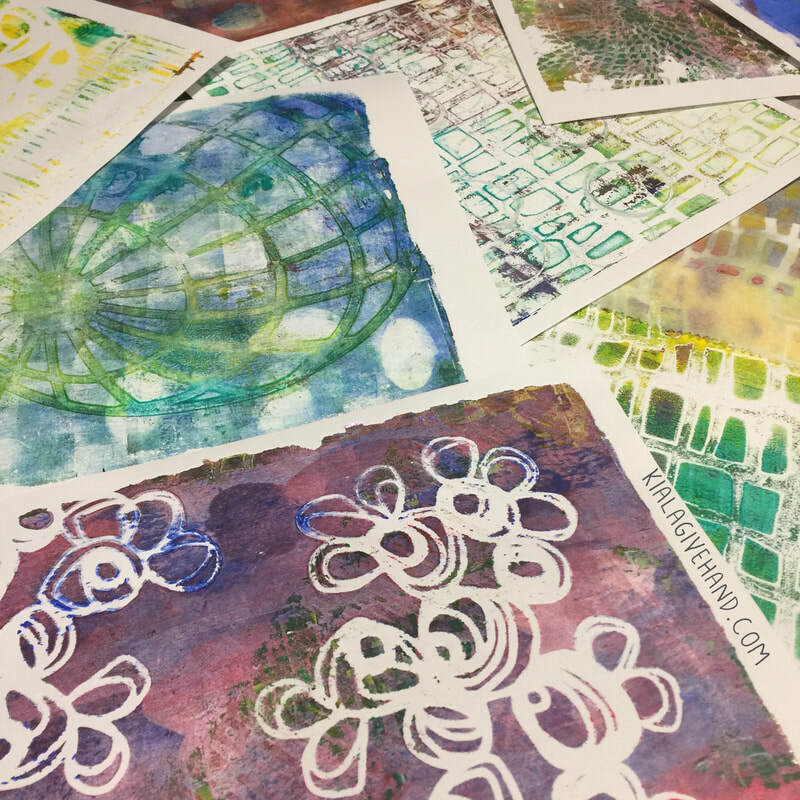 For some, art journaling is a form of creative self-care. 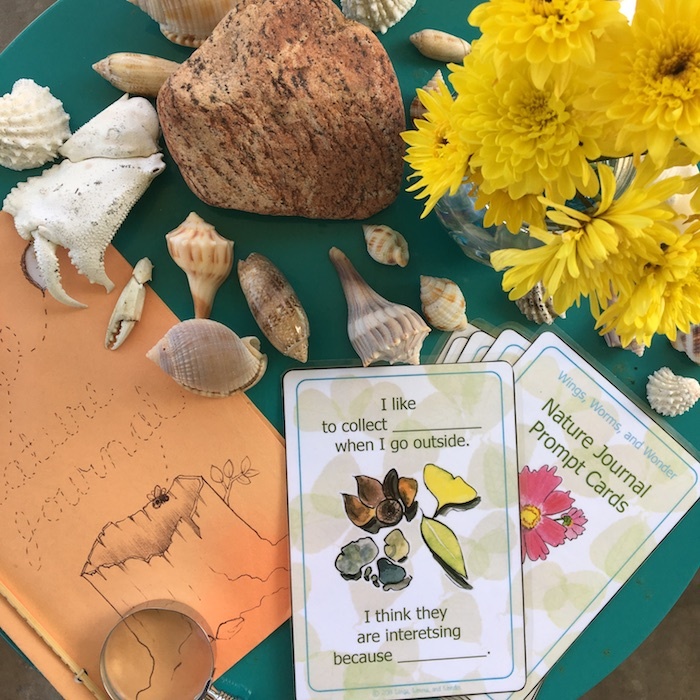 Nature journaling is a way to creatively connect and deepen relationships with our natural world. Each time we venture into nature, big or small, we are impacted. When we assimilate those experiences through images and words, written and spoken, we form bonds with nature. 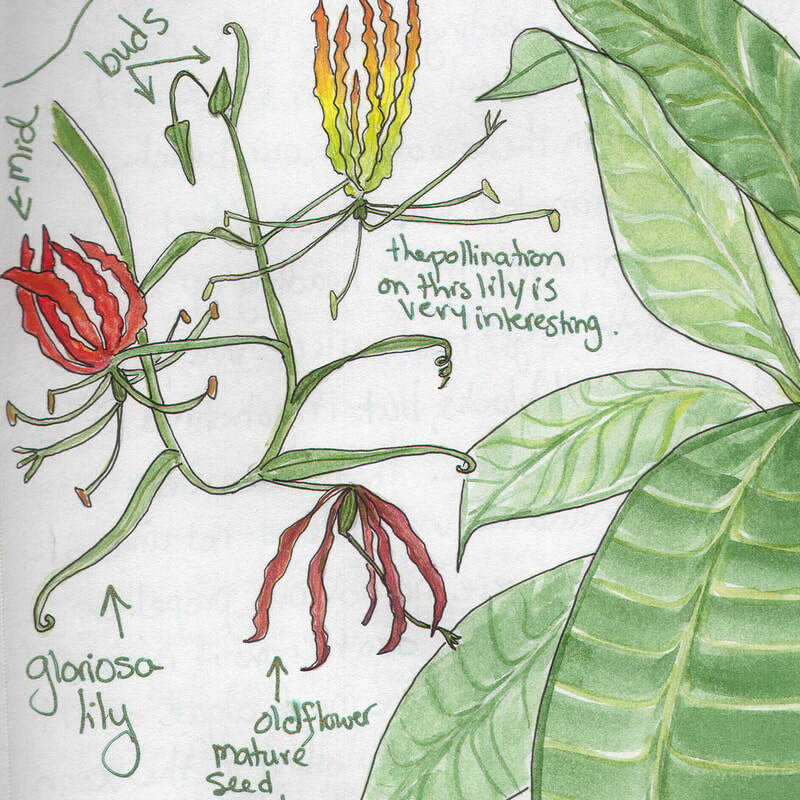 Nature journaling helps us better understand the natural world, and our roles within it. Using both pictures and words, nature journaling an incredible way to embrace ourselves as part of the amazing web of life while better understanding our ecological relationships and identities. Embodying our roles in nature holistically and deepening our place connections gives us strength – physically, psychologically, and energetically. Making art opens us up to creative flow. 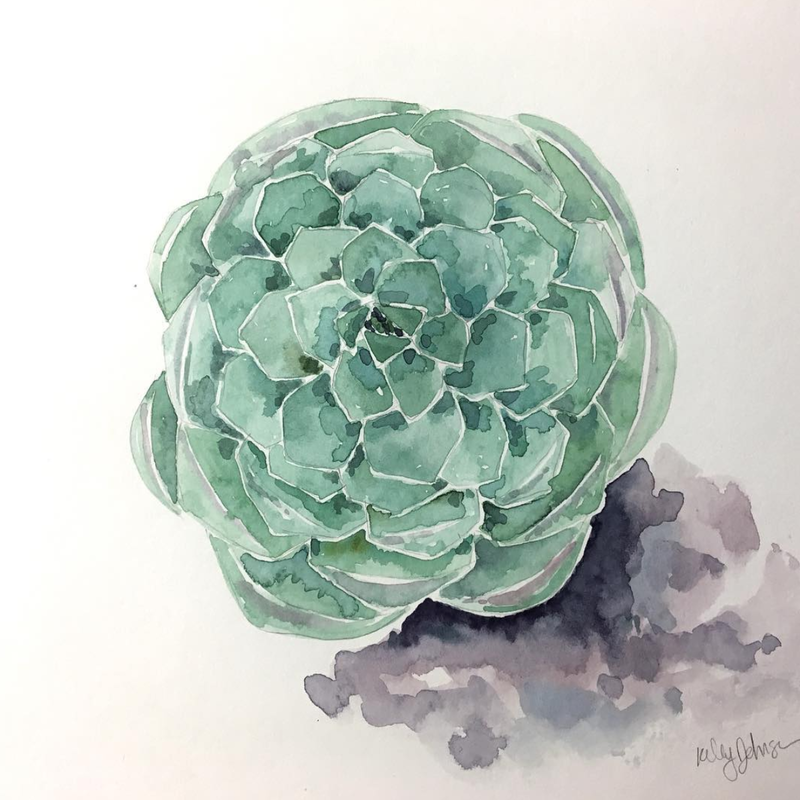 When we create in conjunction with nature, it makes us slow down and become quiet observers. It gives us a place to assimilate our experiences and to ask questions for later answers. It allows us to embrace the Earth’s beauty and bounty. And it clears the way for our senses of wonder to bloom. Images are from previous workshops hosted by Kiala or Kelly and do not reflect projects from this workshop. 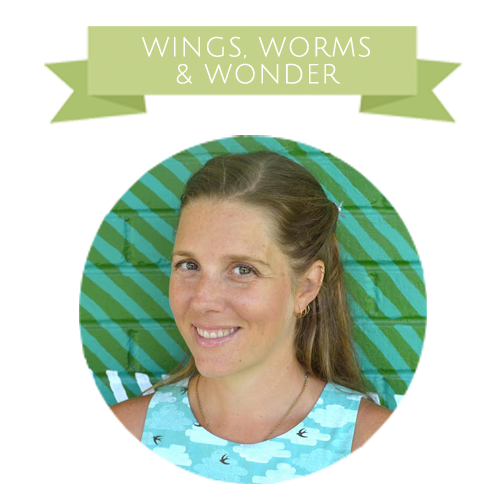 Do you want to explore your creative voice in-person with like-energy creatives? 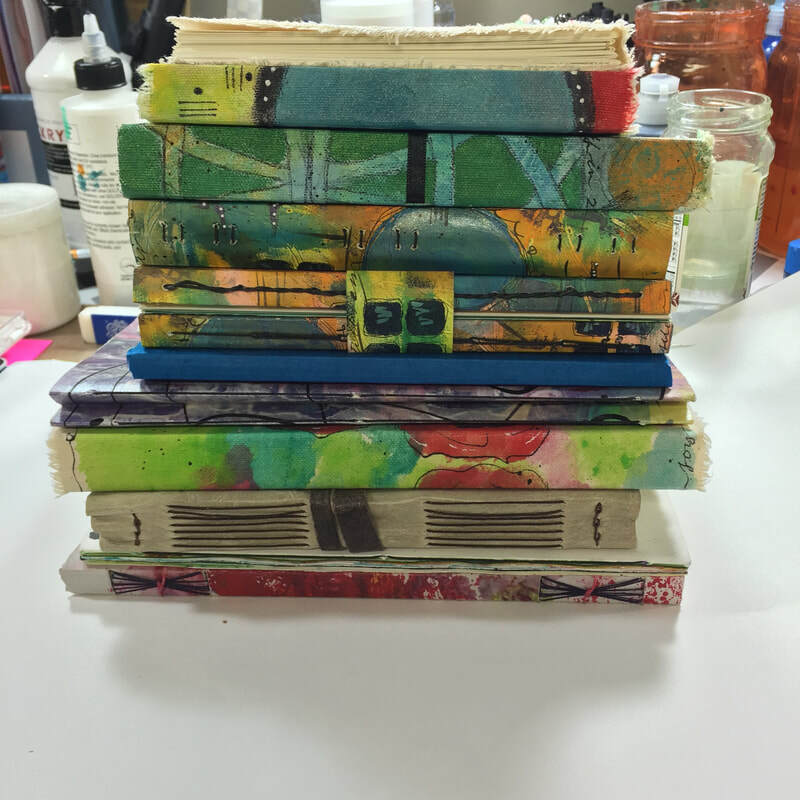 Are you interested in learning to bind your own journals and handmade books? Do you like to journal, write, share and explore your innermost desires? Do you have a desire to connect to nature more? 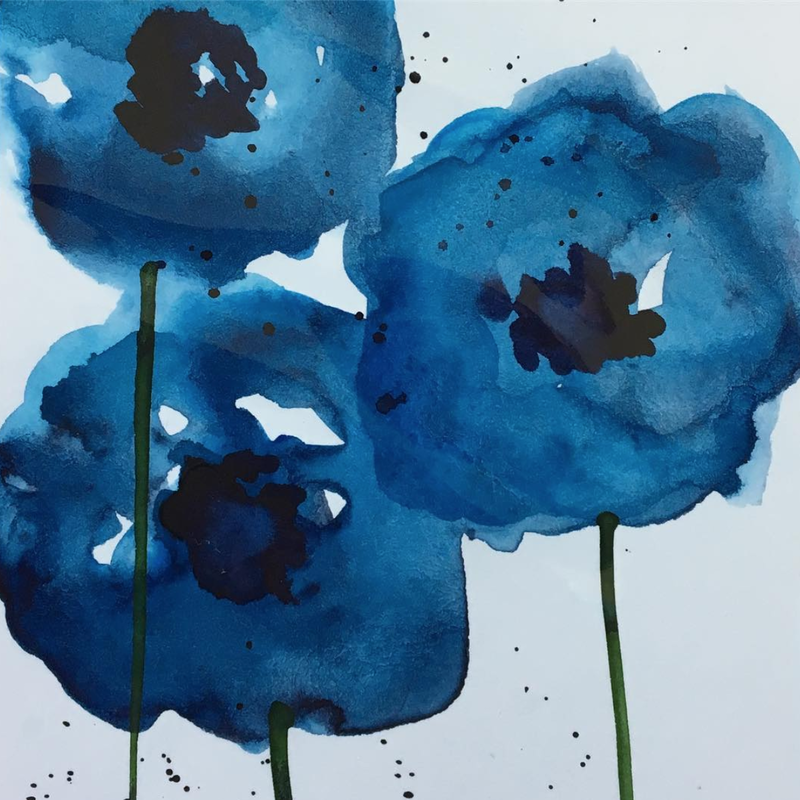 Are you interested in (or curious about) art journaling, printmaking, watercolors, mixed media art, or nature-inspired art? Do you like to experience nature in all it’s glory, through the lens of a camera, or from the end of a paintbrush? Do you simply want to get away for a creative vacation with a group of interesting, creative, soulful people? MY CHILD IS 15 CAN THEY ATTEND THE WORKSHOP? But of course!!! We are both former K-12 Educators, we LOVE children. Just keep in mind that the price is the same no matter what age and if the child is under 13 they must be accompanied by an adult. Unfortunately installments are not available for this workshop. On both days, we will provide LIGHT SNACKS, tea, coffee, and water throughout the day. You will have lunch on your own. Suggestions will be provided in your registration email. A supply list will be provided in your welcome email. Once you register HERE. Your payment information will be shared with Kelly & Kiala. You will then receive a welcome email within 48 hours of registration. I’M TRAVELING TO ATTEND, WHERE SHOULD I STAY? You might also check on AirBandB.com for other local options. WHAT IF I PAY FOR THE WORKSHOP AND CHANGE MY MIND or CAN’T ATTEND? Changes or cancellation will result in a fee of up to the total workshop price. We HIGHLY RECOMMEND reading the cancellation and refund policy BEFORE paying. The last day for a full refund is July 11, 2018.